Arrowtown offers some of the best biking opportunities in Otago, with a range of trails to suit everyone from kids on balance bikes to expert mountainbikers. 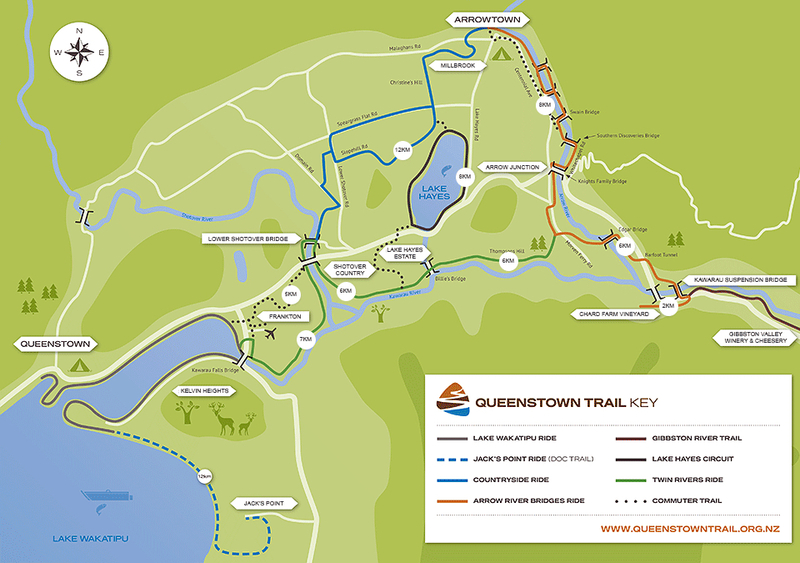 As a hub for the Queenstown Trail, New Zealand's most popular Great Ride, Arrowtown has access to a wealth of easy riding on well-maintained gravel trails that link through to Gibbston, Frankton, Kelvin Heights and Jacks Point, and Queenstown. These trails are shared with walkers and cyclists must give way to those on foot – it's a good idea to have a bike bell to warn them when you're coming up behind them. There are more challenging mountainbike trails up in the hills behind Arrowtown, including a couple of downhill tracks on Tobins Face. Biking is permitted going up the river to Macetown, with singletrack options beside the river to keep you out of the water. Mountainbiking is allowed on Bush Creek Track up to the saddle. From there you can ride across the faces to half way up the Coronet Peak skifield road, on the first section to open of the planned 50 km Coronet Loop biking and walking track. There is also an experts-only steep and rutted track from Coronet Peak for those looking for an (almost) all downhill journey from the skifield to Arrowtown.